who has called us into the fellowship of your Church, grant, we pray, that in all our churches we may fulfill the duties and enjoy the privileges of our spiritual homes. And on those who offer themselves for service as vergers in the house of God bestow the fullness of your grace, that, united in love to you, and to one another, we may show forth your glory and hasten the coming of Your Kingdom, through Jesus Christ, our Lord. Amen. The office of verger has its roots in the earliest days of the Church's history and it shares certain similarities with the former minor orders of "porter" and "acolyte." 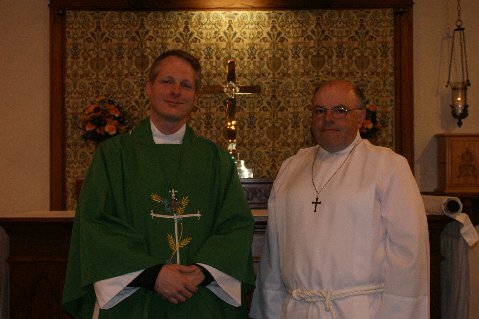 Generally speaking, vergers were responsible for the order and upkeep of the house of worship, including preparations for the liturgy, the conduct of the laity, and even grave-digging among many other duties in the church. 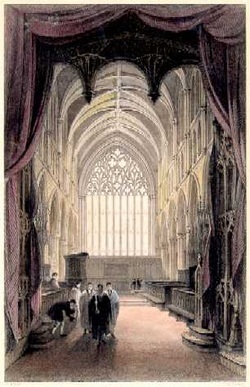 Although there is no definitive historical survey of the office of verger, evidence from Rochester, Lincoln, Exeter, and Salisbury Cathedrals (England) indicates the existence of vergers as far back as the 12th century. In medieval times, the verger (spelled "virger" in England and older texts) was the Protector of the Procession. The verger led the way for the procession as it moved the from the vestry around the church or cathedral and into the front doors. The procession often moved through crowds of people and animals, and the verger was there to clear a pathway with his virge (mace or "Staff of Office"). The verger had to be the first person in the procession as they cleared the way for the thurifer, crucifer, acolytes, choir, and sacred ministers by swinging the Virge in front of them. For the most part, you might only see the verger lead the procession to the altar, and lead the procession out of the church at the end. While this ministry may seem ceremonial, it derived like many traditions from necessity. Overseeing the preparation before the worship service. Helping at the end of worship services. Much of the verger’s work goes unnoticed, but the reward comes from the honor of being able to serve our church behind the scenes and at the altar so that all of us may enjoy a worship service that is beautiful and appropriate. 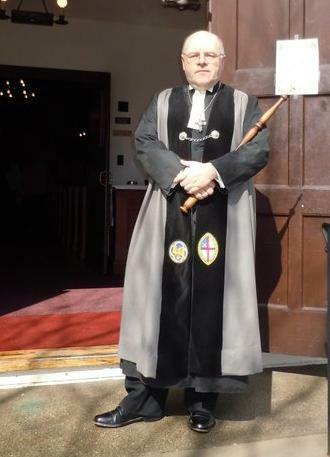 This is the Verger's full dress. This form of dress dates back to the early days of the Church. Note the Verge carried at the rest position.